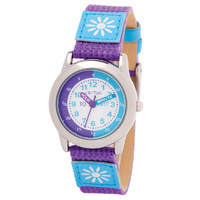 The Watch is a Time Teacher designed to assist children learning how to tell the time. 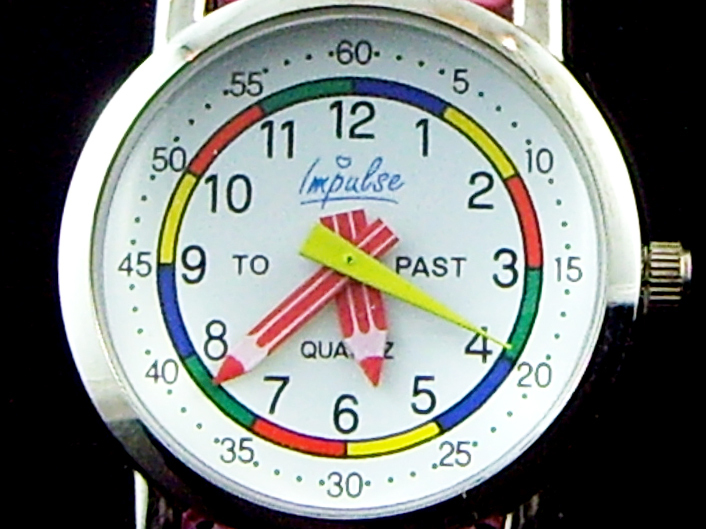 The words "To" and "Past" on the watch face to help children learning how to tell the time. The Watch Hands are Pencils. 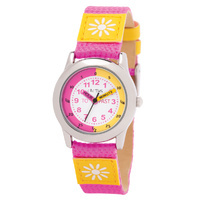 The size of the watch is 19cm long x 14cm wide at band. 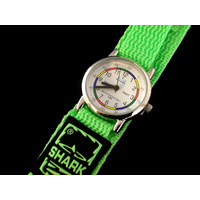 The size of the white watch face is 24mm wide and 30mm including silver frame. The watch band is a soft rubber. 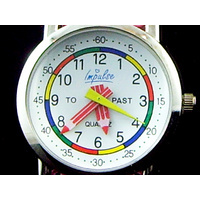 Quartz Watch made by Impluse includes 12 month manufactures warranty.